California was in a drought—its worst in recorded history. And for much of 2014, Bret Recor had been trying to convince a Mexico City-based hardware team to show him a showerhead that they had designed to cut water use by as much as 85 percent. Now, he was finally sitting in a San Francisco hotel room, about to hop under a “very ugly industrial prototype” and take his first Nebia shower. 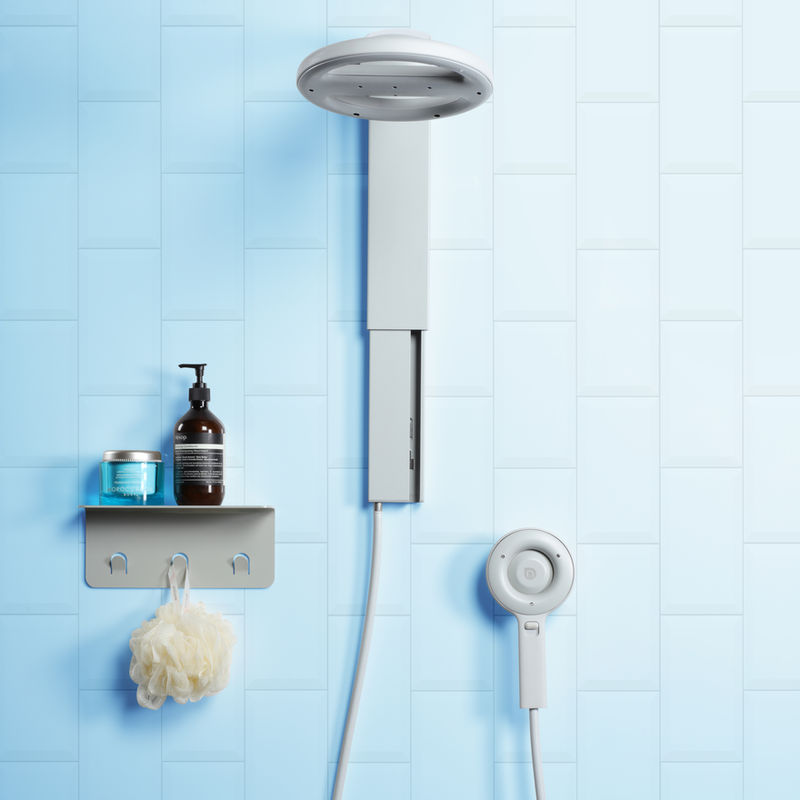 Recor’s design firm, Box Clever, soon became a close partner, and together, the two teams went on to earn more than $3 million in pledges on Kickstarter, acclaim for making a shower that feels like “hugging a warm cloud,” and investments from Apple CEO Tim Cook and Google chairman Eric Schmidt—but not without some painful manufacturing lessons along the way. 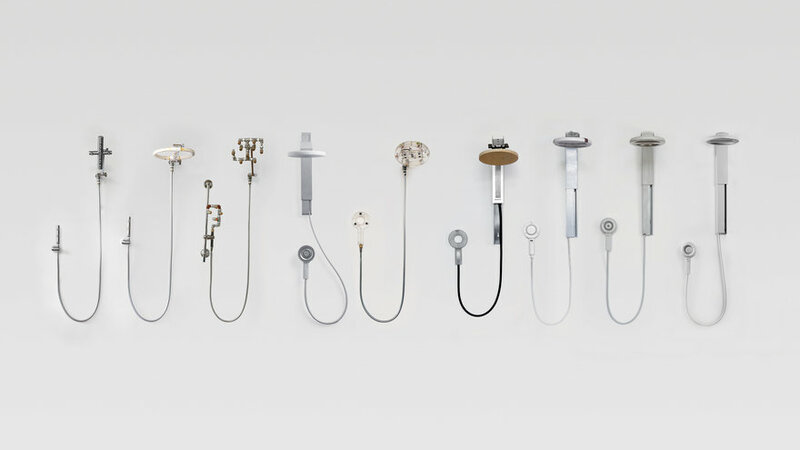 The Nebia design reimagined water-saving showerheads as a luxury experience that’s already saved over a hundred million gallons of water. (To put that in perspective, an Olympic swimming pool is about one million gallons of water.) Now that they’re back on Kickstarter with a second campaign and a new manufacturing and distribution partner, they think they could be on track to save a billion gallons by the end of 2021. Nebia first came to be when Philip Winter, who was working at an NGO that designed composting toilets, met Carlos Gomez Andonaegui, who was the CEO of a gym chain with high shower demand, in Mexico City. Carlos’s father built the first prototypes for a water-saving showerhead that people would actually enjoy standing under, and Winter and Andonaegui soon relocated to San Francisco, where they brought on cofounder, CTO, and COO Gabriel Parisi-Amon, who had been working in manufacturing operations for Apple’s iPhone team. “We had a shared passion for beautiful, well designed products, and also for making products that are better for the world,” Parisi-Amon says. He was intrigued by the proposition of helping them realize what seemed like a long-shot dream. “Box Clever were incredible partners, really understanding what we were trying to do with the technology and the user requirements, but also understanding that our price point was going to come in high, so we needed to have a look, touch, and feel that matched that,” says Parisi-Amon. 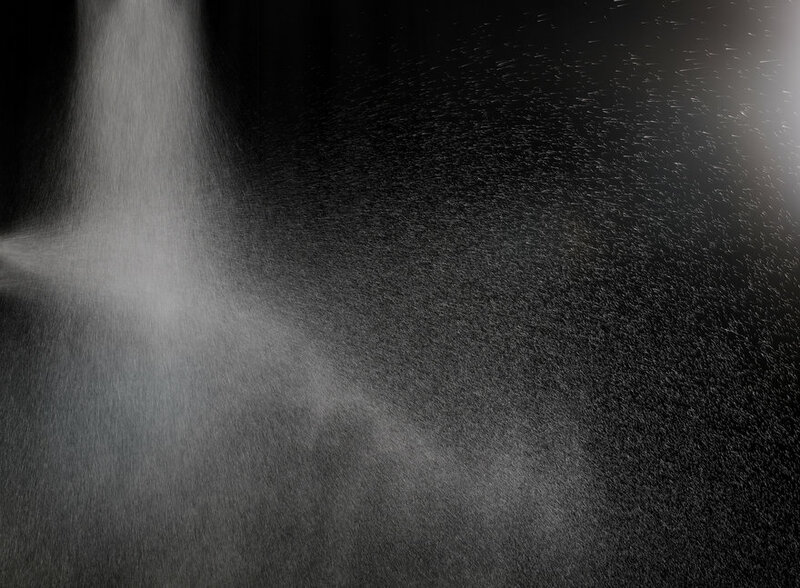 The Nebia 2.0 stands apart from other showers because it wasn’t engineered like other showers. The biggest hurdle was in manufacturing. At the eleventh hour, a few cosmetic elements of the shower came out wrong. “We just went a little too close to the edge of what was possible physically and mechanically to get the design and the experience that we wanted,” says Parisi-Amon. “Then we had to spend a lot of money to fix not just that one part, but all the parts around it.” The minor issue ended up costing hundreds of thousands of dollars, and added several months to their production timeline. This might have been an instance of experience working against them. Parisi-Amon, coming off of manufacturing the iPhone 6s, was well versed in overseeing manufacturing plans and the inevitable snafus—on an Apple budget. Leading up to manufacturing, he doggedly pursued partnerships with more than 100 parts makers and manufacturers, understanding he’d have to work much harder as a startup to win contracts. But when Nebia’s production hit a snag, he really felt the pain of trying to set plans right without Apple’s clout and coffers. “As a startup it’s a lot more… I don’t want to say ‘begging and pleading,’ but there’s plenty of convincing,” Parisi-Amon says. Those goals inspired a partnership with Moen that Parisi-Amon says puts them on track to save a billion gallons of water by the end of 2021. The established bathroom fixtures maker will help them negotiate major distribution deals—and avoid any more “projects of many nevers” in future manufacturing. 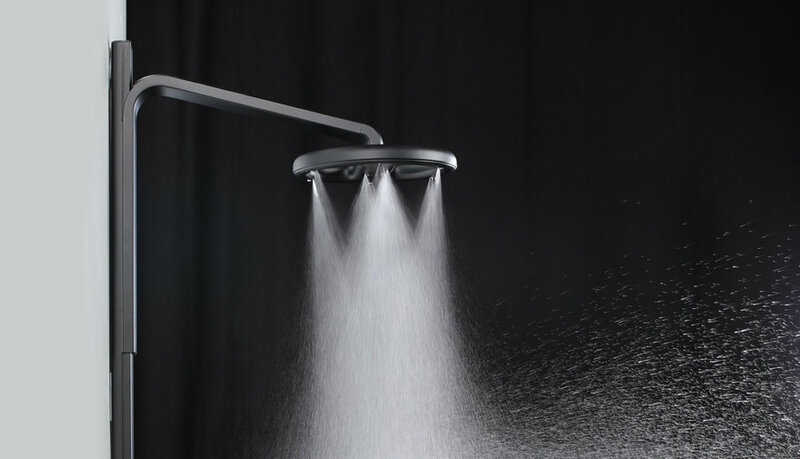 Though the latest version of the Nebia showerhead looks quite similar to the original iconic design, it is compatible with a wider variety of home shower pressures, gets warmer, and, though water savings dropped from 70 to 65 percent with this release, the team is excited to report that manufacturing is now set for much smoother sailing. “Having a partnership with someone who has this experience, we’re able to ask questions about material choices or about how to build something, and they have answers, not just from their gut, but from doing it for the last 20 years,” says Parisi-Amon. “It’s really incredible being able to sit down across the table from people who share your passion in terms of products and have been in this industry for so long.